A yummy festive treat that you'd never know was free of added sugar. 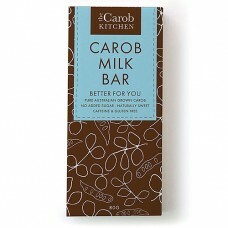 The Carob Kitchen brings you Australia’s first Carob Bar range made with Australian grown Carob and real Cacao Butter. Made from Bean to Bar. The naturally sweet, smooth and creamy taste in our Carob Kitchen Milk Bar is from the sweetness in Australian grown Carob beans. 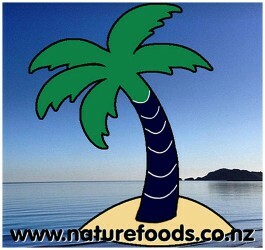 We blend our coconut carob bar to have a mild carob taste using Australian milk solids from 'grass-fed' cows and ethically sourced cocoa butter - a natural cocoa fat. Made with natural ingredients: Milk solids, Cocoa Butter, Organically grown Carob powder (25.5%), Natural Vanilla extract, Emulsifier (GMO free Soy Lecithin). Did you know? Our Carob Bars have over seven times the amount of fibre than most chocolate bars, not to mention over one and a half times LESS SUGAR, no caffeine and is a rich source of calcium. This is a premium quality, fair traded, GMO free, organic, raw cocoa butter from Peru. Ideal for an..
NEW - English Toffee flavoured liquid stevia. SweetLeaf Liquid Stevia is a natural..
Lakanto Monk Fruit Sweetener is the only zero calorie, zero glycemic sweetener that is just like s..